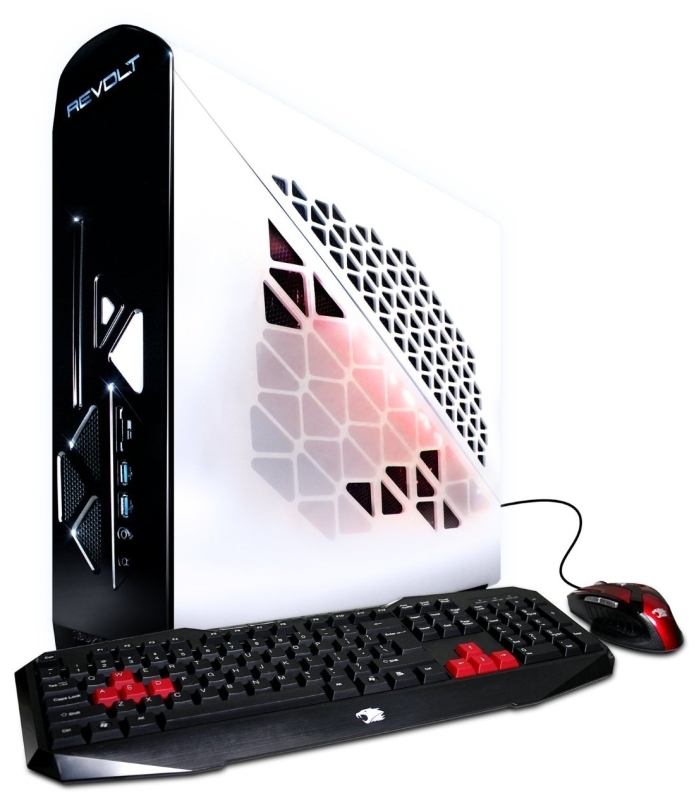 Processor: Intel i7-4770/Memory: 8GB DDR3-1333 /NVIDIA GTX760 2GB/Hard Drive: 500GB 7200 RPM SATA3/Solid state Drive: 120GB SSD/Feature: WIFI + BLUTOOTH/Power Supply: 500W/ Optical Drive: 24X DL DVD+/-RW Drive/Window Blue/iBUYPOWER Keyboard and Mice/One Year limited warranty. Revolt was born to counter the black and beige box image of desktop PCs. Instead of obeying the standard desktop form factors and conventions, Revolt breaks the standards obeyed by regular desktop PCs to create one of the most compact and exciting PC gaming experiences in existence. Revolt is the new definition of PC gaming.